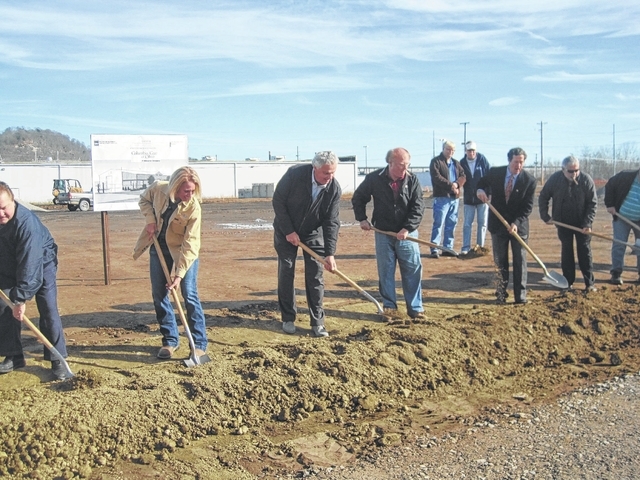 Columbia Gas breaks ground in New Boston – . New Boston continues to rebuild the infrastructure that lay dormant since the closing of Empire Detroit decades ago. 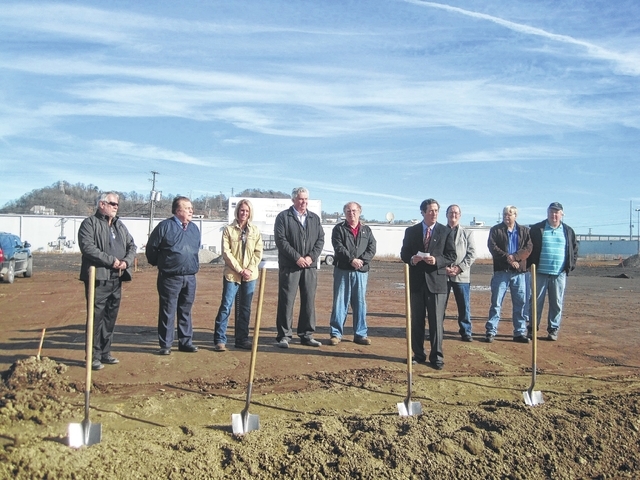 The latest activity was the groundbreaking for the new Scioto County facility for Columbia Gas of Ohio, at 208 Vine Street in New Boston. NiSource Columbia Gas of Ohio corporate officials joined with community leaders at the site on Wednesday afternoon, shovels in hand. Pagura said the facility will begin with the maintaining of the current 29 employees and will add more because of the scope of the new facility. Shane Cartmill of Columbia Gas of Ohio told the Daily Times the facility was built with safety in mind. Don Hadsell of Hadsell Construction will build the facility. Hadsell said the project is a continuation of the vision of the late Bob Walton who made it his life’s goal to create a successful industrial complex on those grounds. President of Village Council Mike Payton welcomed the company to New Boston. Pagura said the company hopes to be under roof at the new building by June 1, 2016. Photo 1: Steve Pagura of Columbia Gas of Ohio addresses company officials and local political leaders at the groundbreaking of the new location of the Scioto County facility for Columbia Gas of Ohio on Vine Street in New Boston Wednesday. Photo 2: NiSource Columbia Gas of Ohio officials and local political leaders break ground for the construction of the new Scioto County facility for Columbia Gas of Ohio on Vine Street in New Boston Wednesday. Photo 3: Submitted Graphic Artist rendering of the new Scioto County facility for Columbia Gas of Ohio on Vine Street in New Boston.